✩ B4 Bright Sparks ✩: Our new student! 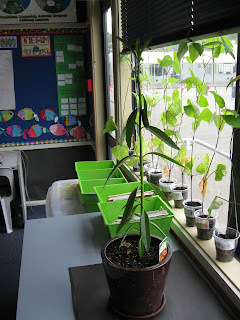 This week we had a new student join the class. Can you see him in this picture? No? OK, here is a closer look. He (or she!) is a Monarch caterpillar. So far he has been spending his day munching and crunching through the leaves on our swan plant. 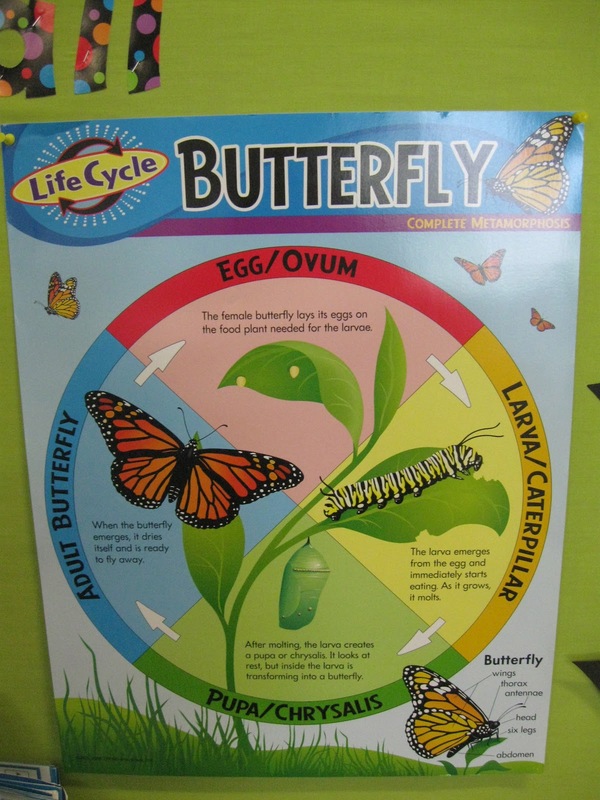 We have been reading about the life cycle of a Monarch Caterpillar and we are looking forward to seeing our caterpillar turn into a chrysalis and then hatch into a beautiful butterfly! Hopefully we will get to watch these changes happen and maybe Mrs Harrington will even be able to video them so we can share it on our blog. Hi.I also have monarch caterpillars in my classroom. We have let 2 butterflys go in the school grounds. Do you know how to tell whether the butterfly ismale or female.